Home craft tuscanybrown - the shop! A few days ago I fulfilled a long time dream of mine. I opened an Etsy store of my very own. 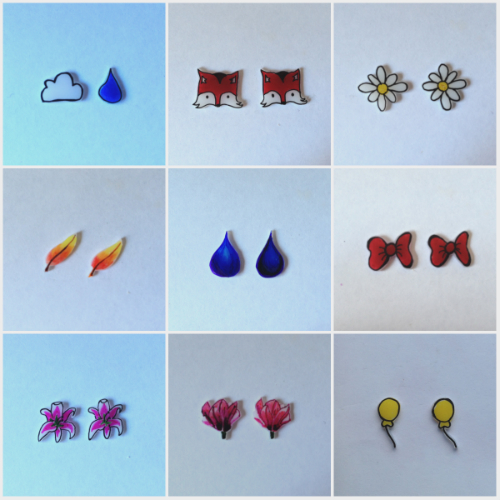 I'd been making little shrinkie earrings and my creativity got a little out of control. internetty world and see what happens. Come on over here and check out the shop. I just finished packaging up my first two orders and they are on their way to happy homes today. I think I might have had more fun wrapping and decorating the parcels than I did making the earrings. Just quietly. I'm still a bit of an Etsy n00b but it's fun to learn.